The Oceanic Languages form a closed subgroup within one of the world’s largest language families, Austronesian. There are between 1000 and 1500 Austronesian languages (estimates vary), with so much structural diversity that they are best handled in two volumes, one on the Oceanic and one on the non-Oceanic Austronesian languages. This division is clear and the grammar sketches in this volume provide a cross-section through the structural diversity of the Oceanic languages which is not available elsewhere. Much of the material is drawn from data collected by the authors and has not been previously published. 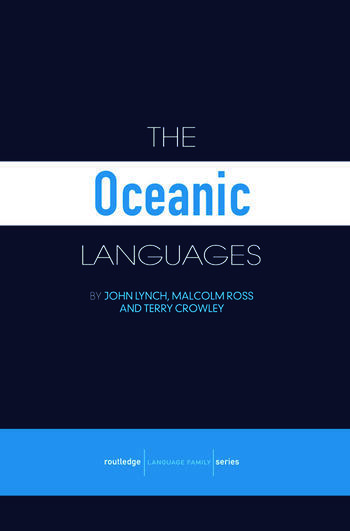 The volume contains five background chapters: The Oceanic Languages, Sociolinguistic Background, Typological Overview, Proto-Oceanic and Internal Subgrouping. In addition, the volume presents forty-three grammar sketches, selected from the five hundred Oceanic languages spread across a region embracing eastern Indonesia, Melanesia, Polynesia, and Micronesia. John Lynch is an Emeritus Professor of Pacific Languages and the former Director of the Pacific Languages Unit at the University of the South Pacific in Port Vila, Vanuatu. Malcolm Ross is Emeritus Professor at the Australian National University. Terry Crowley was a Professor at the University of Waikato in New Zealand.